So, today I am having one of those days where I am feeling sorry for myself. I made my first full box sheet (which you will be able to download later on in this post). My boxes are a bit shorter than I intended (2.4 inches height/1.5 width) and I thought, “doesn’t matter, I will use washi tape” and that’s what I did. My stubborn mind forced me to use my full boxes, which are a textured vintage pink and beige digital paper (it’s supposed to look like wrinkled paper), and since it’s Christmas, the same stubborn mind forced me to use a silver Christmas-themed washi tape. I was going to go for a spread that looked like a present (kinda). All was good till I saw the result. A flop. I also started feeling sorry for myself cause I am also colourblind and cannot really tell if anything matched (it looks like it doesn’t. Welcome to my colourblind world!). Urghhhhhhhh.So, two disasters in one spread! 1. Short boxes. 2. Does anything match?!! Anyhow, I am going with it. Buck up Joanna!! So, here is my spread. You can download my first ever full box and washi printable. 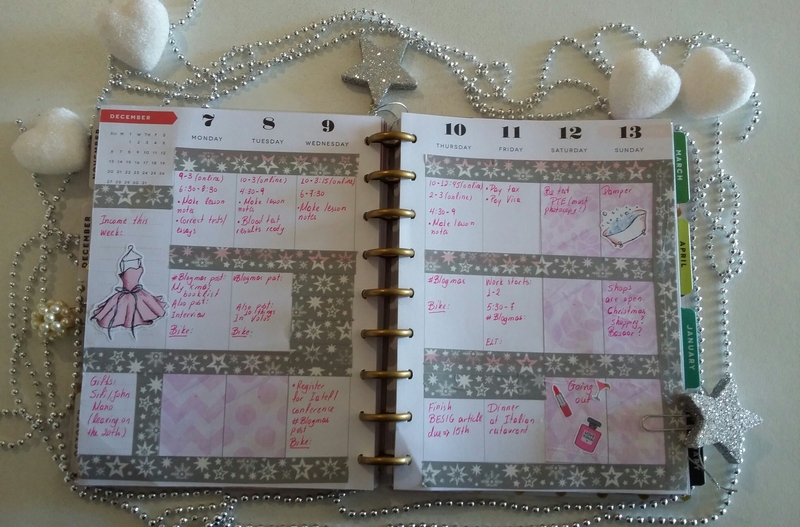 The happy planner has different sizes.You may need washi tape (keep that in mind). I have the one with the heart on it so I needed the washi. I bought the digital paper from an Etsy store called aestheticaddiction link can be found here . You can find lots of pretty designs to use in your planner (shout out to pretty paper designs for mentioning this website). The owner also gave coupon codes for you guys. 20DISC – this is good for 20% off a purchase. So, check out her store and buy some digital paper!! 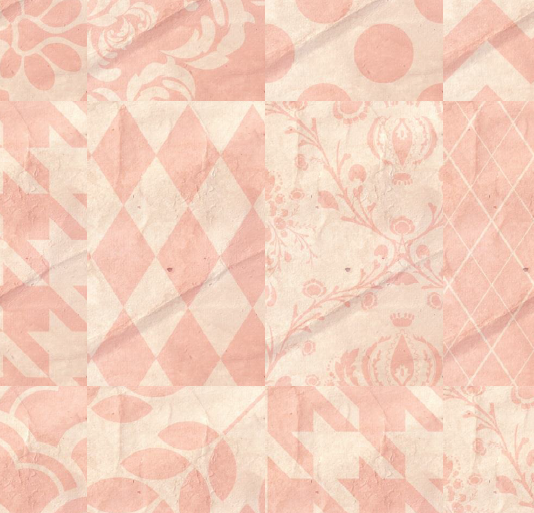 Download of my full boxes can be found here: Full boxes Vintage pink and beige (height 2.4 inches/width 1.5). Pink dress and bath tub from Michelle and Patch. Cocktail glasses, perfume bottle and lipstick from Shop Alissa love. I have coupon codes for both these shops which you can find here and here. Paper clips were my own creation. The stars are Christmas tree ornaments. The pearl is from an old headband. So, that’s all lovelies. Sorry for the mini-meltdown. Follow my blog if you want to read more about planning (I will share a much better spread next week, I promise). Next week I am using Lilly Top’s Christmas kit). Follow me on Pinterest, Instagram or Twitter (@mypinkrambles). Leave a comment on what you do when you are not happy with your spread or any other planner-related comment. 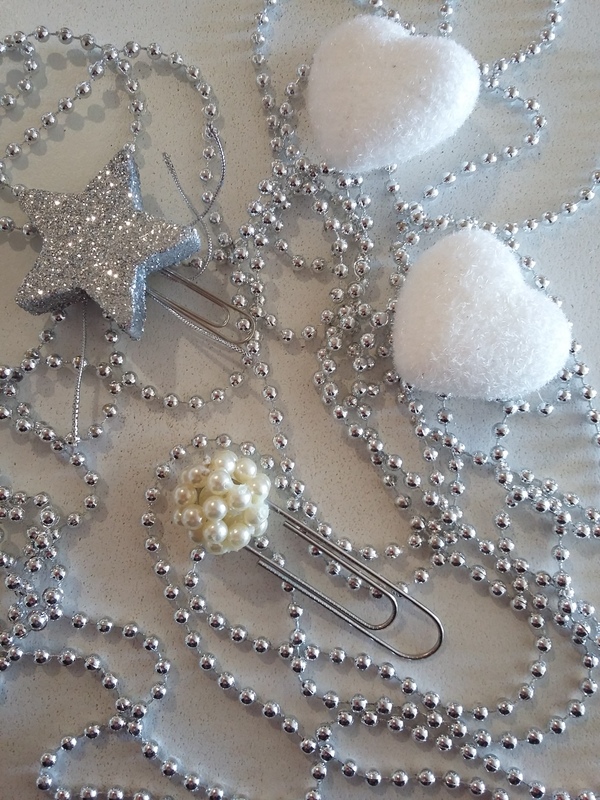 I am doing #Blogmas, so you can read my latest post here. Don’t forget to check my planning category on the sidebar for more free printables and coupon codes. I have something really exciting coming up this Sunday so do subscribe. See you next Sunday with my next spread.